Commercial Truck Success Blog: Super Trucks: Factory Ordered or Build Your Own? 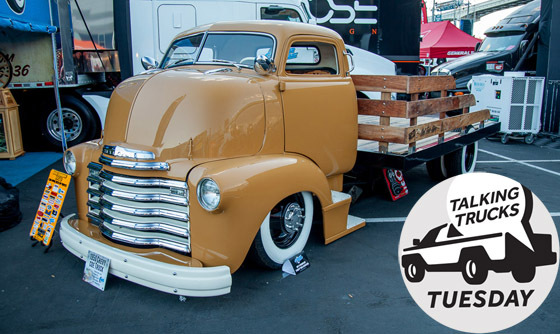 Be it recreational, personal or vocational applications, pickup trucks seem to get altered more than most vehicles beyond hard-core four wheelers and van and coach conversions. Some are cab-and-chassis modifications by an authorized upfitter, but more often, it’s a pickup used as a blank canvas. More equipment becomes factory-available as pickups grow in popularity. A few generations ago, you couldn’t get factory side steps; now you have choices in finish and style. Think of the wheel options for half tons, too. The question with almost any accessory or upgrade is how to do it. Factory equipment comes with a vehicle warranty and is fully engineered, validated to work with your truck and road legal. There are no concerns about the airbags working properly because it has a winch, failing smog tests or funky trailer wiring that could make your dash melt. It’s included in financing and online resale calculators by default and the cost often can’t be beaten by the aftermarket. Manufacturer accessory divisions such as Fiat Chrysler Automobiles’ Mopar and Toyota’s TRD offer the same validation (and financing if added when new) of factory equipment, though the warranty is often determined by who does the installation. As accessories go, they usually aren’t cheap. The aftermarket offers the broadest spectrum, often at better prices, though the warranty only applies to the accessories and could void your truck warranty. System integration is unknown: If the dinghy tow-bar mount for your compact pickup will affect airbag operation or the 22s drop your payload by a ton, do you think they’ll tell you? And they’re not financed with the truck purchase. Which method do you prefer for which additions to your pickup?